When was the last time you tried a new method? For me it was probably five years or so when I first learned to use a French leader. I guess some of the big game fishing in the Seychelles could count but as I wasn’t there long enough to really get to grips with them I can’t really claim to have “learned” them in the truest sense. For an angler, it’s easy to just keep doing what you’re doing; especially if it works. The problem is that if you keep doing what you’re doing then you’ll keep getting what you’re getting, and to be honest what I had been getting thus far this year was pretty tough fishing. Any good angler will tell you that if it isn’t working, change it. The only thing a Brit is more wary of than something new, is something new that the rest of the world is already on top of. The best angling example of this is the Baitcaster reel. For some reason I had spent over a decade in the industry resisting this weird world of upside down rods and reels. “Bloody Yanks” I would think to myself while flicking through the trade catalogues full of backwards kit. I was curious, just not curious enough to actually open my wallet a little. Curiosity is a slow killer though, and nigh on ten years after first considering the idea I went out and sourced a rod and reel with the intention of learning the craft. I had no idea what I wanted, but I did know what I didn’t want. 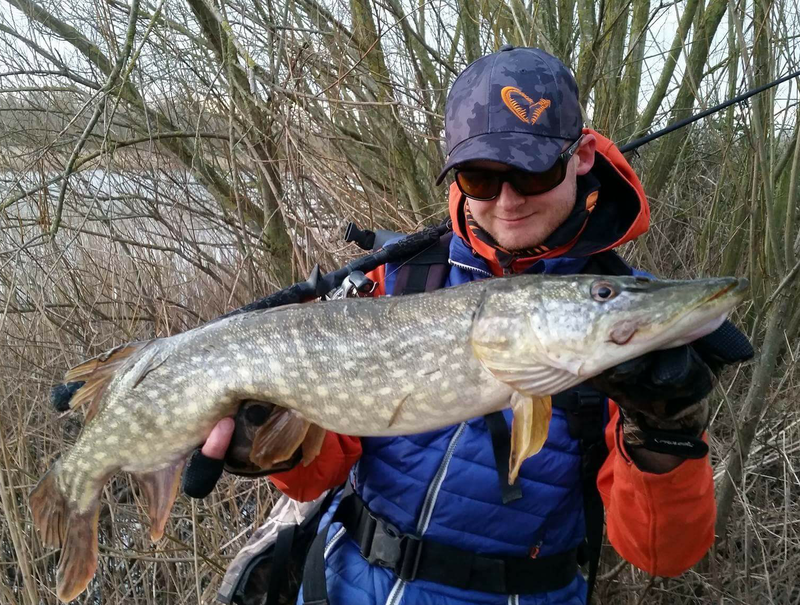 I’ve no intention of throwing 150g jerk baits across a reservoir, I wanted something with a little more finesse to flip around the canals and lakes local to me, places where I knew there were more pike than I was catching. 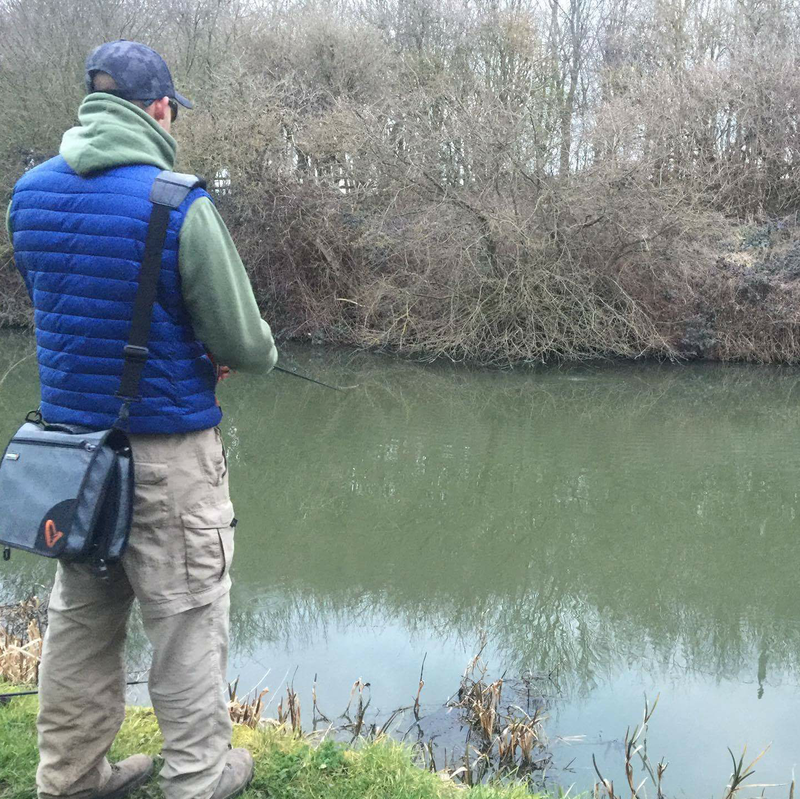 The Savage Gear Black 60g jerkbait rod seemed to tick the boxes and is fairly inexpensive, but you know that the Savage Gear pedigree is in there. 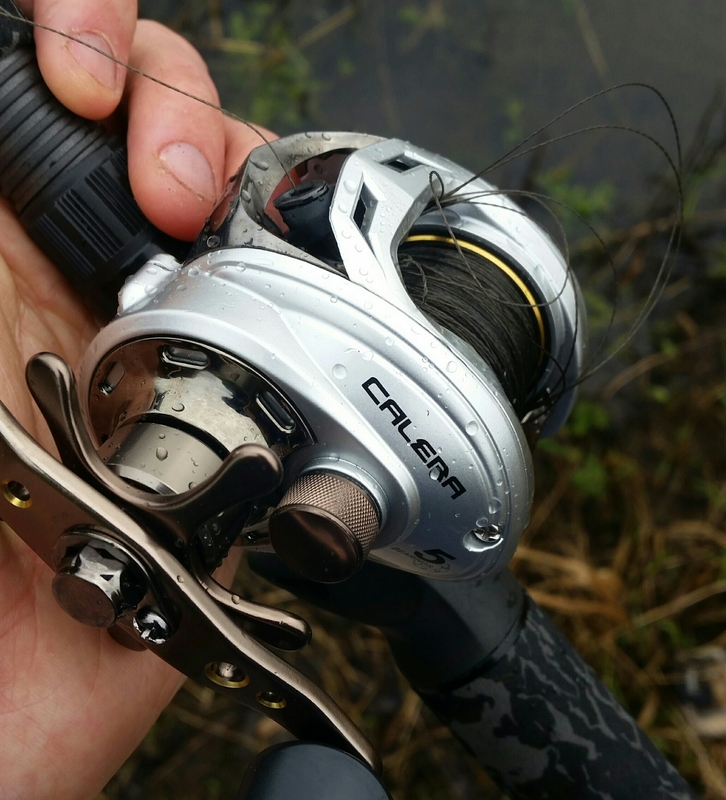 The Okuma Calera low profile Baitcaster again is a fairly economic option from a family of excellent reels; one that I was assured would be easy to control yet tough to break – ideal! They have been hammering the Freestyler – they smash it head first most times! With the Calera spooled up with some pretty burly looking 30lb braid I found languishing in the garage all was set to go. I spoke with some old pros about how to get the best from the kit – Phil Blakey in particular was very helpful and I must take the time now to thank him. Armed with a handful of lures and a feeling that this could get tangly very quickly I made my way to a local gravel pit. The Savage Gear Freestyler seemed likely to be the lure to cut through the howling gale and was clipped on the solid trace. Each of the tensions on the reel seemed to be about right, and the first cast landed about thirty yards away with no issues at all. I had been careful to keep everything as smooth as possible and to thumb the spool before the lure landed -job done. The next cast went a few yards further; this was far more simple than I had imagined. The third cast I decided needed a little more effort and began sailing through the sky before THUNK – everything went solid. The dreaded bird’s nest. I spent about 20 minutes unpicking it all. Actually if I was going to help a friend to learn to use this kit the first thing I would do is present them one of these tangles and ask them to undo it, this ought to be a rite of passage for the multiplier angler. It wasn’t the only one during the session either, this was a day for patience and to keep reminding myself that this was all new to me. Besides there was nobody for miles to hear me swearing anyway. My patience was rewarded a few hours later with a nice fish on a Line Thru Trout in Albino, then another a few minutes later. The angling Gods can be cruel but they’re often fair too. In the six weeks since this venture in to the unknown I’ve barely been able to put the outfit down. From bombing big baits like the 3D Hybrid Pike across gravel pits to flipping frogs under the trees on the far bank of the canal the combo has cut it. It’s surprisingly versatile; I wasn’t expecting to be able to pitch lighter baits with any ease but a recent session with a 20g spinnerbait went almost without hitch. I say almost, those birds nest over-runs still happen every now and again; usually when I’ve become a little too confident or over ambitious with the distance I’m trying to reach. The trade off for the occasional overrun though is outrageous accuracy; real point blank casting. The kit has come in to its own on the canals where I’ve had an absolute blast hitting the far bank cover and twitching baits back over the shelf; make no mistake my catch rate has increased dramatically and this is solely down to making casts that I couldn’t make consistently with a fixed spool set up. I don’t feel like I can throw a lure the same distance as I can with a fixed spool outfit but I’m not far off and improving all the time; maybe in the future this will change. I’m in no position to review the rod or reel as I’ve never used anything else! What I can say is that if you’re a greenhorn like me who has been viewing the world of bait casting kit from afar then have no fear! 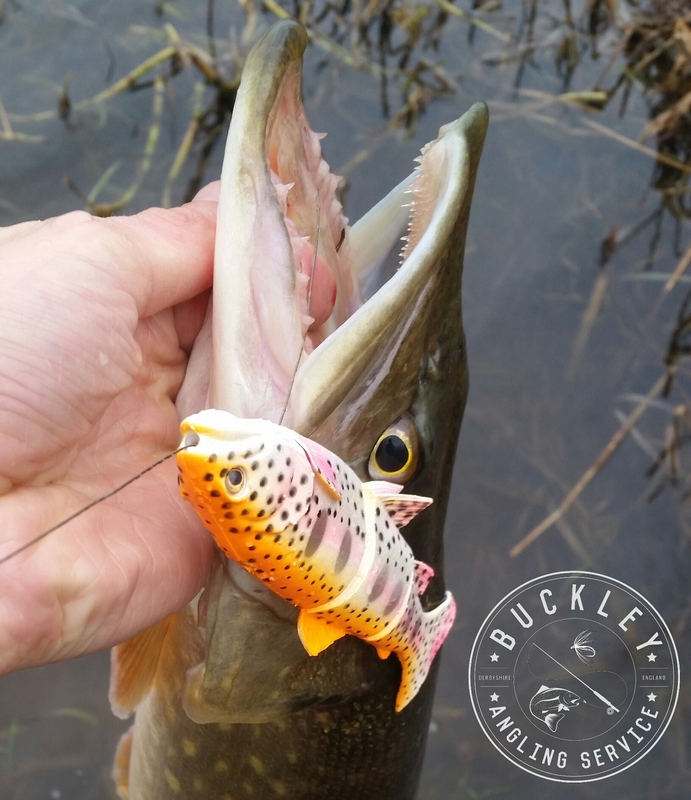 This gear isn’t just for big burly blokes with tattoos or for American bass pro guys called Brad Chad Jr the Third, it’s actually a really practical and most importantly really fun way of fishing for pike around cover and will help you make the most of many different angling opportunities on still waters, canals and rivers. Give it time, give it patience, give it a little practice but do give it a go!